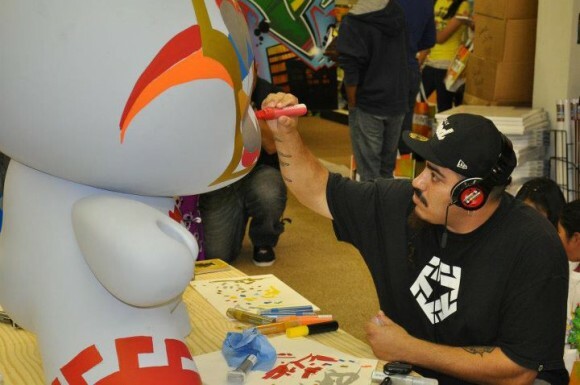 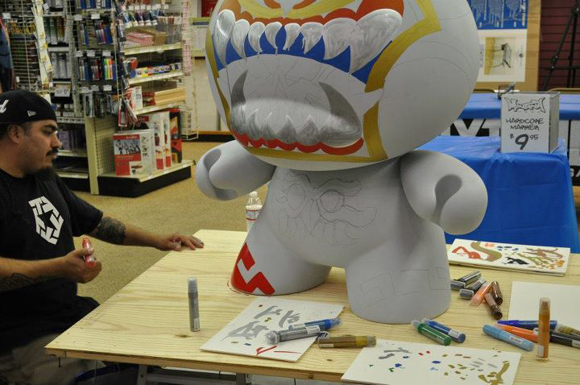 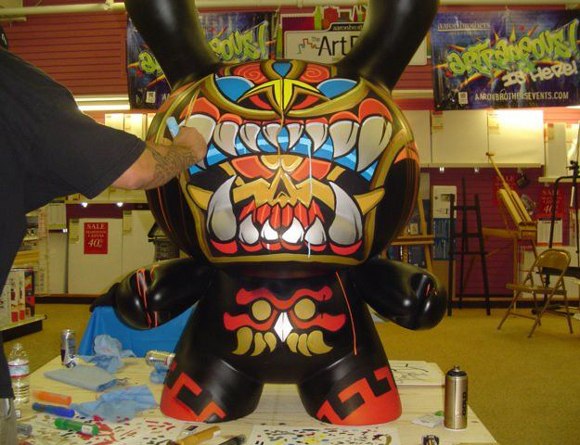 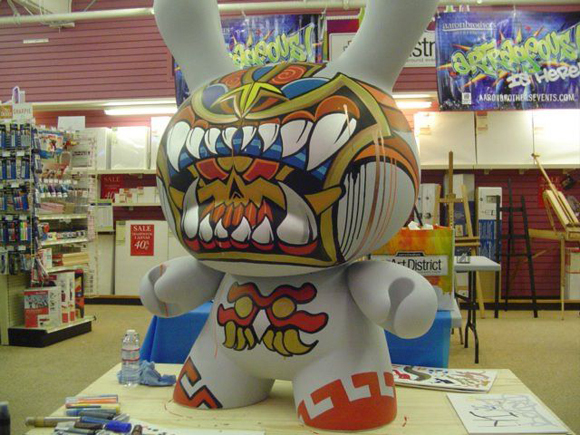 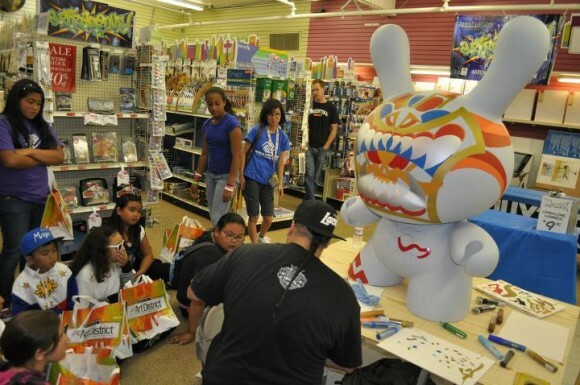 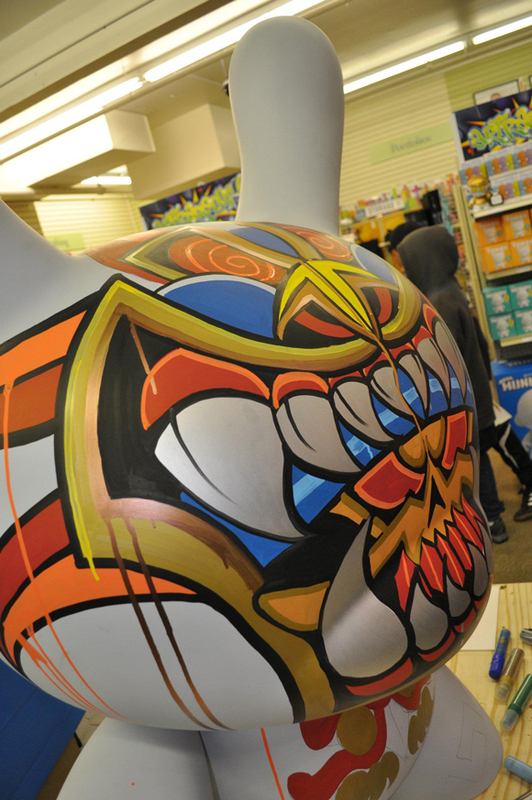 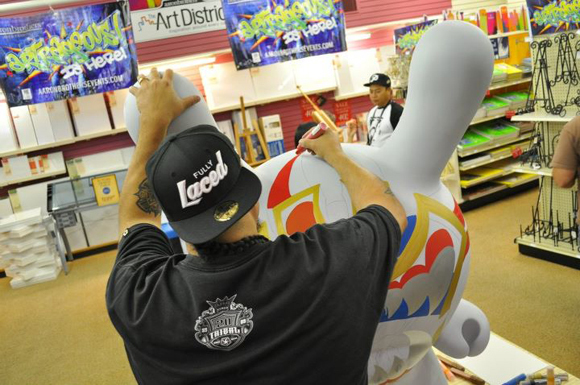 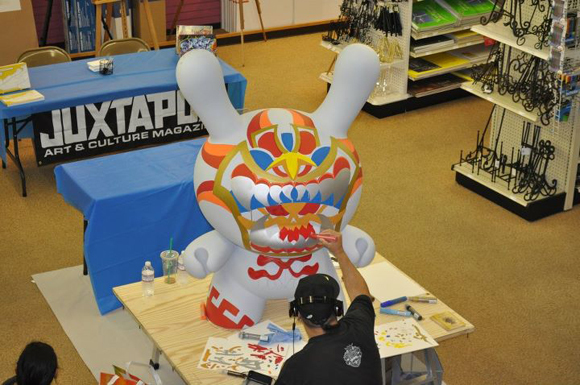 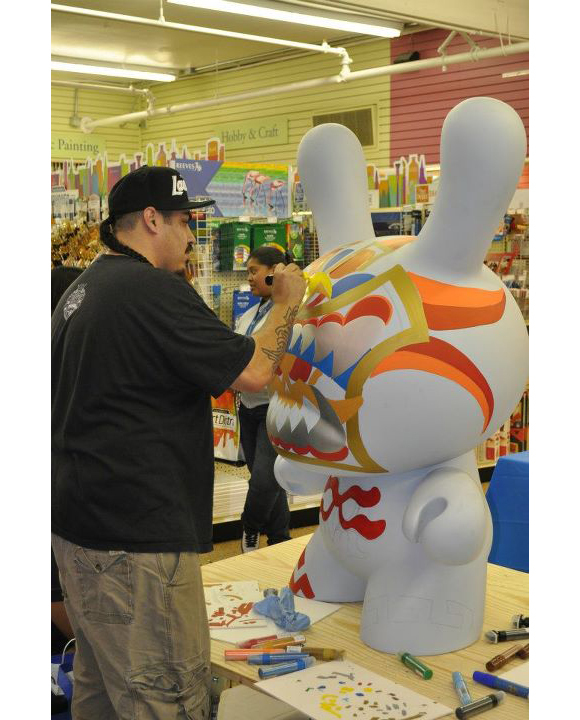 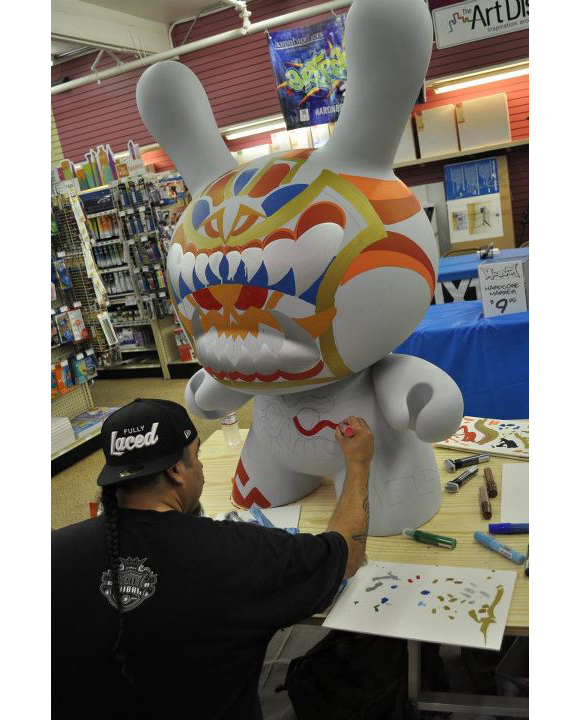 The immortal Jesse Hernandez created a killer 4-foot custom Dunny this past Saturday as he held it down with Scape Martinez for ARTRAGEOUS at Aaron Brothers in Daly City, CA. 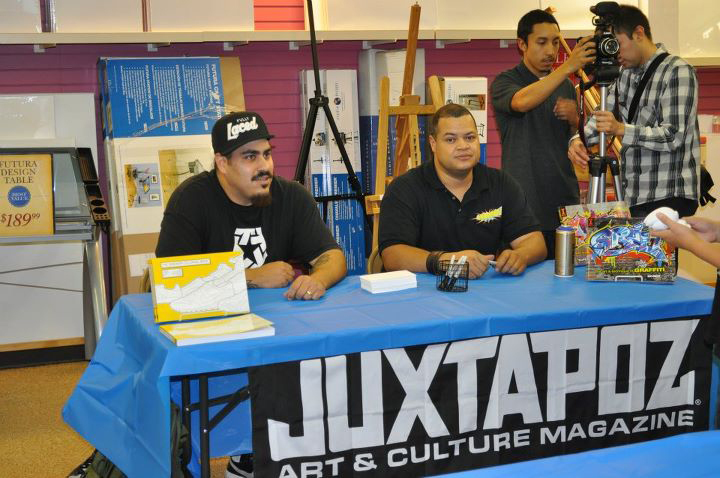 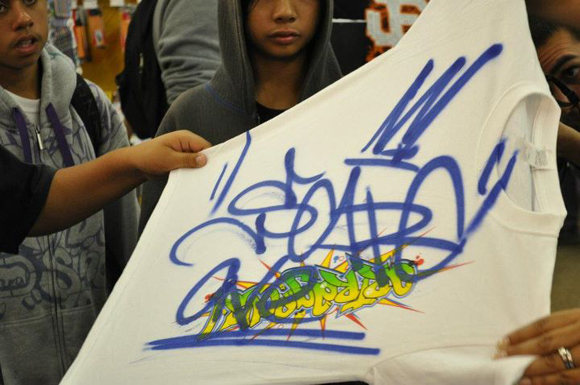 Fans of all ages came out to get schooled by the two graffiti greats and watch in amazement while Jesse worked his Dunny magic live on the spot. 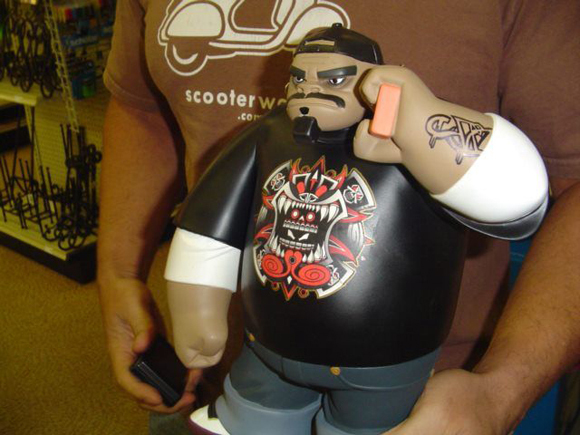 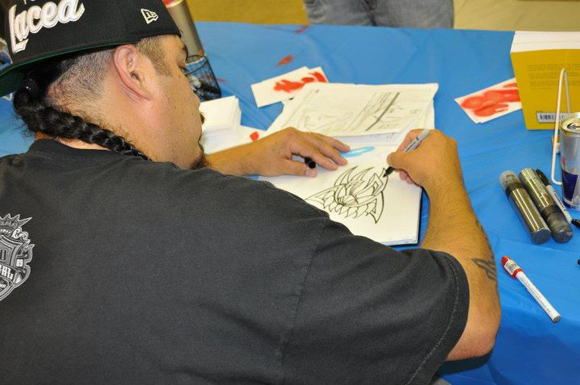 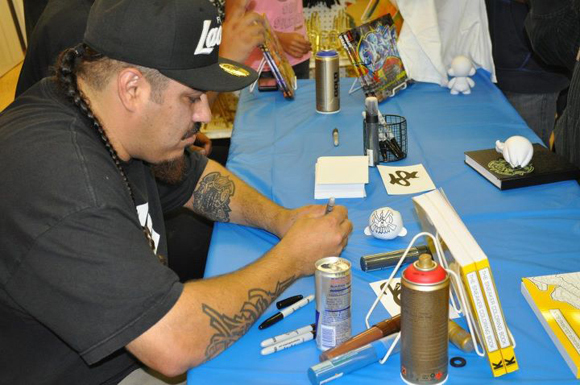 One of Jesse’s biggest fans, Tony Gil, even brought by his one-of-a-kind customized Russell Gorillaz figure (original edition) in the characterized form of Jesse himself, with tattoos and braid to boot. 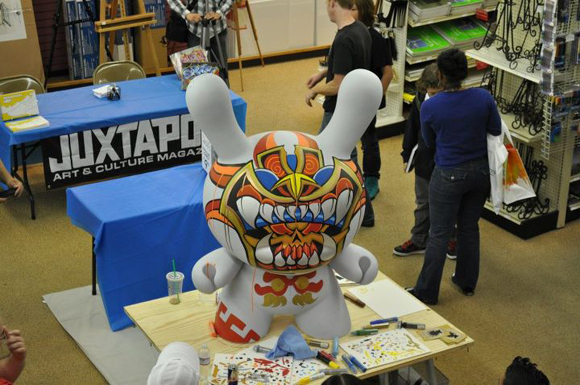 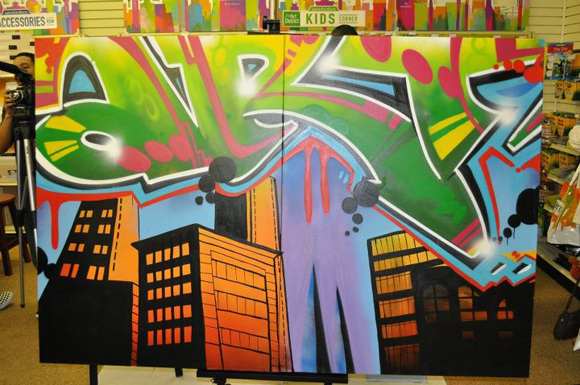 ARTRAGEOUS will be making another splash in Austin, TX with more live art by MAD on September 24.